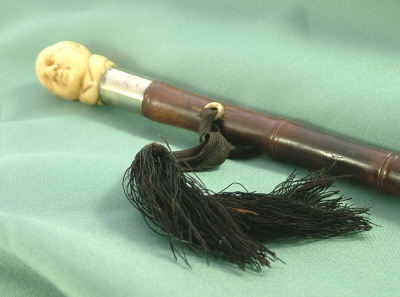 Unusual Victorian swagger stick with carved ivory figure head pommel. Mounted on slim line bamboo with eyelets, white metal collar and original base metal ferrule. Good condition with appropriate wear for age.